Eye Exercises: Can Vision Be Improved Naturally? For centuries people have looked for ways to correct their vision without wearing eye glasses. For some, especially those with thick "coke bottle" lenses, it is a question of vanity. Others just don't like the hassle of trying to keep up with glasses, breaking them or losing them. Glasses may make engaging in sports more difficult. According to history experts, the basic principle of contacts was born when Leonardo Da Vinci sketched ideas for corneal neutralization. Later, in the 1600s Rene Descartes described a glass tube filled with an animal jelly attached to the eye. In 1889 August Muller, a German medical student who wanted to correct his own severe myopia invented a crude contact lens made of blown glass. Large and heavy, it covered most of the eye and could only be worn for a short period of time without the pain of corneal hypoxia. As centuries passed pioneers experimented with materials in the quest for comfortable contacts and succeeded. By the latter part of the 20th century, clean, soft and inexpensive disposable contacts were a reality. Still, some were not satisfied with just contacts. A young woman talks about the time her contact fell out while skydiving and seeing it in her goggles. Another complains of dust and pollen underneath her contacts. Advanced vision technology led to Radial Keratotomy in the early 1980s followed by Photorefractive Keratotomy. Finally, Laser assisted in situ Keratomileusis, better known as Lasik, a procedure in which doctors access the cornea and reshape it with laser surgery was introduced. Risks involved, expense and squeamish feelings at the thought of eye surgery are problems for some. Others are poor candidates and will need implantable lens if they want to throw away their glasses and contacts for good. Is there a way to have good vision without glasses, contacts or surgery? Natural vision correction was introduced early in the 20th century by Dr. William Bates, an eye care physician. Bates was a strong proponent of the theory corrective lenses, or eyeglasses caused vision to deteriorate. He worked by the principle that minus prescription lenses overpower the visual system and the stress actually deteriorate vision. Thus, we keep needing stronger and stronger prescriptions. He devised A regime of eye exercises combined with relaxation and positive thinking. He was so sure that his theory was correct he kept an anvil in his office to smash his patent's glasses with. Medical professionals of his time denounced Bate's theory and they still do today. Vision experts contend that there is little or no scientific evidence to support his theory. Programs similar to the Bate's method is the See Clearly method. In 2005, the Attorney General of Iowa filed a consumer fraud lawsuit against Vision Improvement Technologies, the See Clearly promoter. On November 1, 2006, the See Clearly Method became no longer available. They suggested that the attorney general was paid off by a bribe from the American Optometric Association (AOA). The AVI later offered a downloadable program for $35 claiming that the program can "reduce, perhaps even eliminate dependency on glasses or contacts." Advocates of these natural vision correction methods still exist and programs can be purchased claiming that users will be able to "throw away their glasses and contacts in little time". Some mention the "secret" that ophthalmologists and optometrists don't want us to know. To decide if natural vision correction does or does not work it is helpful to understand refractive vision errors. When light waves travel they are either bent, absorbed, reflected or deflected depending on the material they travel through. 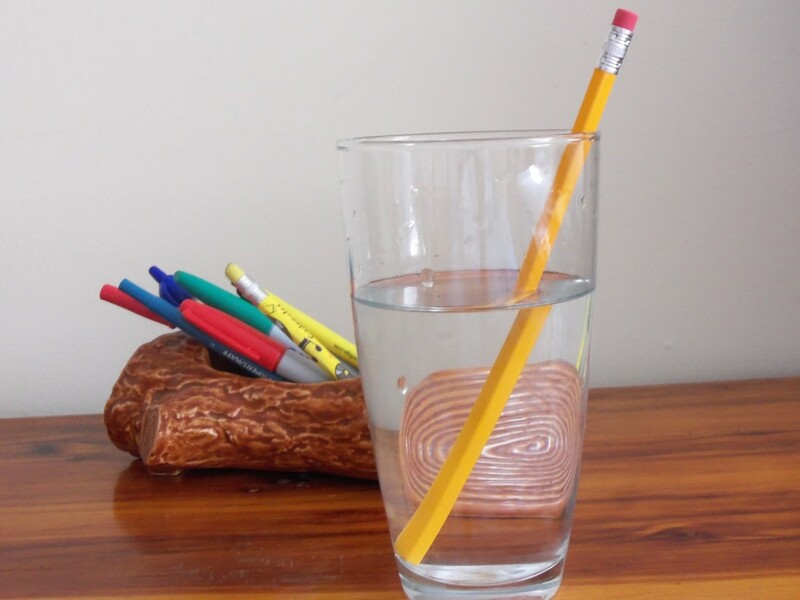 A simple experiment with a pencil in a glass of water shows that light rays are bent when traveling through water. In the same way, light rays are bent when they enter the eye structure. In a refractive vision error, the eyeball itself is misshaped; the light that enters the eye gets focused either in front of or behind the retina rather than on it like it should. Myopia is a condition in which the eyeball is too long. The light from distant objects gets focused in front of the retina. Close up objects can be seen while distant objects appear blurry. In Hyperopia (farsightedness) the light gets focused in back of the retina. This usually happens because the eyeball is too short. Far off objects are seen clearly while close up objects are blurry. Astigmatism is a condition in which the cornea is abnormally curved causing light to enter at two focal points resulting in distortion. A lens to correct the distortion will be needed. Presbyopia is a condition of aging in which the cornea and lens of the eye become more rigid and cannot change shape more readily to bring light to focus on the retina. Objects from both near and far will be blurry. Bifocals will be prescribed with the top part for seeing far and the bottom for seeing near. Practice focusing on far off objects with a low contrasting background such as a white poster on a white wall. Without moving your head pretend to "write" with your eyes. Hold reading material up close, then look up and glance at something 10 feet away, then look back again. Gradually increase distance. 20/20/20 exercise: every 20 minutes move away from your computer screen or close-up work. Focus on an object 20 feet away for 20 seconds. The shape of the eyeball and the way light enters and gets focused determines whether or not we have refractive vision errors. Little to no evidence exists that refractive errors can be corrected with eye exercises or positive thinking. In 2004 the AAO did a study of natural vision care provided to patients. Although some said their nearsightedness had improved no improvements were noted when they were tested. The "improvements" were labeled as a result of a placebo effect. Conclusively, although the eye is a muscle exercising it like the body is not going to improve vision. 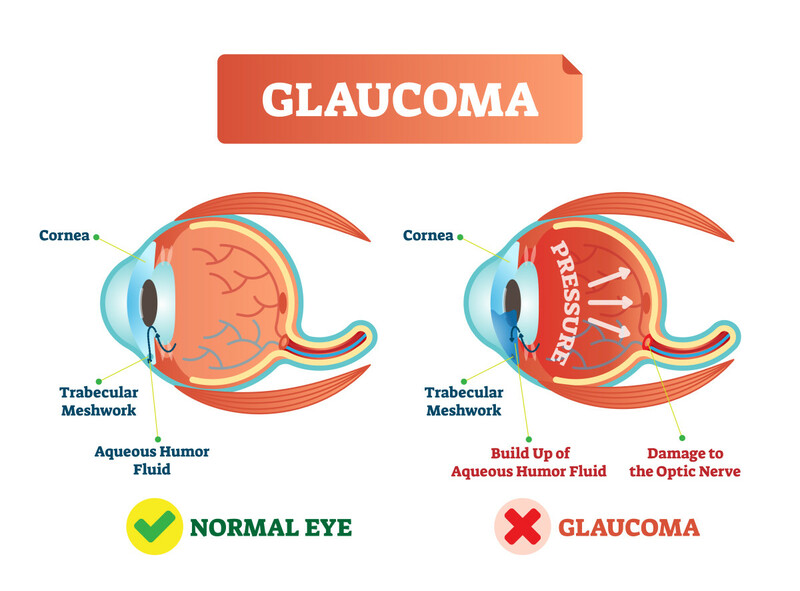 Glaucoma and macular degeneration can not be helped with eye exercises. However, natural vision correction has support from some practitioners of alternative medicine. They maintain that Dr. Bates went too fast with his approach. Patients should be given slightly weaker lenses slowly overtime. They support the idea that exercises make the eye muscle more flexible. Because strain on the eyes can make the eyes deteriorate vision can benefit from the exercises. Although scientific evidence clearly indicates that the shape of the eye and point of focus of light causes near or far sightedness, to perform eye exercises would not worsen the condition. Eye exercises, along with vitamin therapy may slow the rate of decline in myopia. Programs for natural vision correction usually require some time and efforts. There is no damage that could result from their use. A program of natural vision correction that claims to be able to "throw away your glasses in 30 or 45 days or so" should be avoided. Research eye exercise programs carefully or look for exercises that are no cost. Discuss your findings and other options with your eye doctor. Don't turn a "blind eye" (no pun intended) to corrective vision surgery. If they seem too scary or expensive ask yourself how badly you really want to toss those glasses or contacts. The following chart lists and highlights the major vision correction surgeries. Explore in depth individually the one most relevant to you. Technology has been kind to those with vision problems. As with all technology vision correction technology changes. Procedures and prices are not constant. It can't hurt to do eye exercises. I can understand that if one spends a lot of time with close up work, such as working on a computer, that it's possible the lens hardens over time. Taking brakes and focussing on something 20 feet away, as you said, can help keep the lens soft. This makes sense. I'll have to remember to do that more often, along with the other exercises you mentioned in the side panel. Very interesting Hub. I am myopic. I will daily try the four basic exercises that you mention here. Great! Thanks. I think so too, Vellur...Thanks! Informative and useful hub. As you say natural vision takes time and effort and there is no quick fixes. Eye exercises prevents the condition from becoming worse but does not offer a miracle cure, though I wish it would. Well thanks for stopping by. I like your "punny" comment. My son goes to Vision Therapy once a week to strengthen the muscle in his eye so it doesn't turn outwards. It really helps! Very enlightening, I am one of those who would love to see without my glasses, yet accept them for how they help me see. Yet, I am always interested in the newest technology for our eyes. I really like the exercises you gave. Those I want to keep track of for sure. Interesting. That's very interesting. We hear all these ads for how wonderful Lasik is, but they don't elaborate on any risks. Thanks for the share. A lot of interesting information here. When I was young I tried some things to improve vision without success. An optometrist I went to believed in giving glasses that were weaker than needed for 20/s0 vision. His theory that the eye would have to work harder. When I joined the military I had to get the prescription changed. My niece had lasik surgery done but complained that she lost her ability to read fast. Voted up and interesting. sharing. Since first seeing your hub I've been told that my vision struggles are rooted in a prism problem. Advice is to try vision therapy. Will try to keep you posted. This is fascinating information and I like the way you've laid it out. It's interesting the theory is that stress also deteriorates vision. I had eye surgery about a decade ago but now my vision is changing again. I wonder if exercises would help me? It couldn't hurt to try, anyway. Thank you! Voted up and shared. Thanks, moonlake. I think mine are beyond exercises to fix, but the exercises seem to help rest them. I would be so happy if eye exercises would help my eyes but I think I'm way past help. Great hub enjoyed reading it and I'm sure exercise will help lots of people. Doesn't hurt. Voted up. Glad to be of help. You are lucky not to have to wear glasses. 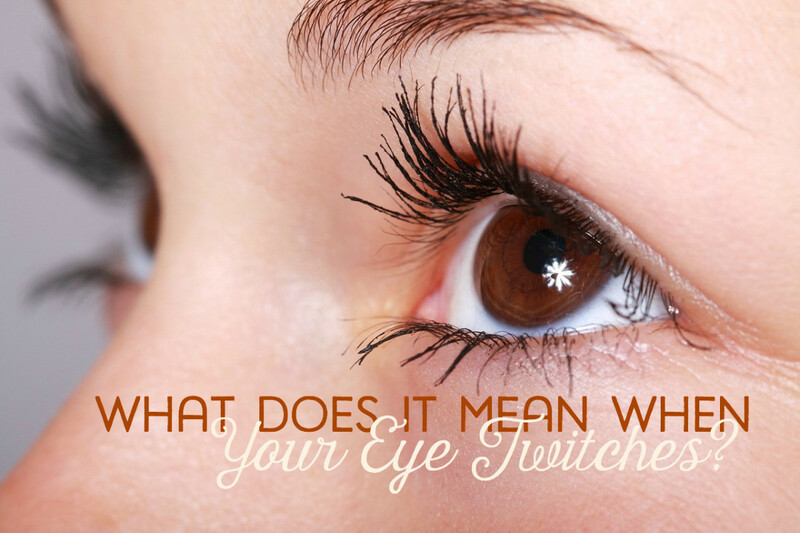 Eye exercises could be a great preventative for you! I have heard much about using eye exercises to improve vision, and always wondered if it was true. Thank you for this informative article the brings the truth into focus. I don't wear glasses, but at times wonder if I should. I honestly place no faith in modern medicine as it seems to be political and manipulated. I might have to give these exercises a try to see if they help me to see more clearly. Voted up, useful, and interesting. Good luck with the eye exercises Cyndi. They sorely can't hurt! Great information here. I've worn glasses since I was 12. Can't see a thing without them. I wear my contacts most of the time. Maybe a few exercises couldn't hurt, especially since, like HawaiiHeart and probably the rest of the writers here, I spend a lot of time looking at a computer screen. Thanks HawaiiHeart and wewillmake! I hope I gave you some good info on vision correction options. Very useful hub you written here. Keep writing these types of hubs. Very interesting! I actually think I need to try the exercies myself. I spend so much time staring at a computer screen! What a great testimony for eye exercises! Thanks for telling me. I believe vision can be improved naturally. Eye exercise is very important for vision improvement. When I was a child I wore glasses. Though the exercise tired me, I was able to correct my vision. That's a great way to look at it Sunshine! Yes, our eyes are not only the windows to the soul they are the windows to the mind.Thanks for commenting! Thanks for the vote bryanbaldwin, I am really glad to have been helpful! Thanks Dancilla. Contacts can really be irritating. I threw one out the car window once...It was so irritating! Great hub, I happen to be near sighted and on my right eye I have astigmatism. At one point for one whole year I was able to wear contacts then they started to irritate my right eye. So now I just wear glasses. Voted up and very interesting. That's interesting. I am near sighted with astigmatism. I hope you find the exercise sheets, or a new doctor! Thanks for the information! I'll bet the Wavefront LASIK will be great for your daughters. You are welcome, and best of luck with it. That could be true Brett. We just have to investigate and find out these things on our own though! Thanks for the vote up and the share! Well, I have to say I'm one of those people (far sighted, slightly astigmatic and highly skeptical) who really was able to throw her glasses away for 10 whole years thanks to 3D eye excercises prescribed by an eye doctor here in France where I live. Unfortunately, I got so confident in my vision, I misplaced the exercise sheets (which I hadn't used in years). My Dr. has since retired and her replacement doesn't know what I'm talking about, so my vision has been spiralling downward again for the last ten. Depending on your condition, if you can get a hold of the excercises, they are definitely worth trying. An interesting idea. 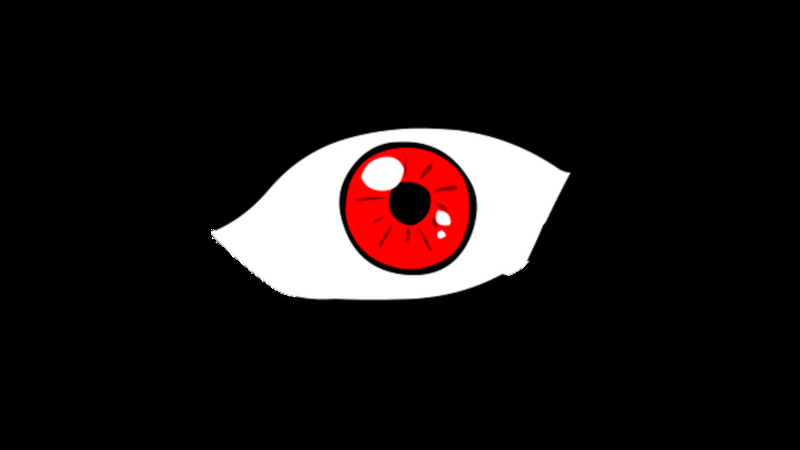 Forcing the body to repair and adapt can make it do amazing things, so I guess it could work on the eyes too. However, if it did, scientists would not want to reveal that, as far more is made through glasses and contacts!! I have worn glasses or contacts off and on since I was sixteen. Thanks for such an insightful comment. I hope you try the exercise and get a little result. rebeccamealey: Voted up and useful..so much information here that is important for us to know. Vitamin therapy and eye exercises sound like something I need to explore. I have worn glasses since I was 9...anything to even help a little would be worth the effort. Thanks for sharing this. Thanks for the compliment and the vote up, Kimberly. Thanks for the compliment, molometer.Thank goodness your wife found out in time, Great strides seem to have been made in vision technology, luckily for many! I'm not sure. I think it is people trying to be innovative. Thanks for the vote uo pinappu. Excellent hub! I enjoyed all the interesting information. Voted up, interesting, and socially shared. So much useful information here, well done! I have Astigmatism and wear glasses... but I think taking vitamins (vitamin therapy) is a great idea. Thanks for taking the time to write this hub. Well research and detailed hub Rebecca. Well done. This can work so well for so many people. Luckily for my wife Linda, we went for laser eye surgery and found out she had a much more serious problem. She is now having hospital treatment which hopefully will mean that she will retain her eyesight. I say luckily because, if we hadn't gone for the laser treatment, we may have never known, and she could have gone blind at any moment with no warning. All the votes and thanks for sharing. Is natural vision treatment an urban legend?What do you think? That puts you in the 25th percent of the population who does not have vision problems. Lucky you! A very informative & well explained hub. Fortunately, I never had vision problems in childhood. Even now, I just need glasses for reading. Voted up, interesting and useful. Shared too. Thanks RTalloni. I learned a lot myself. I am glad that this will be helpful. 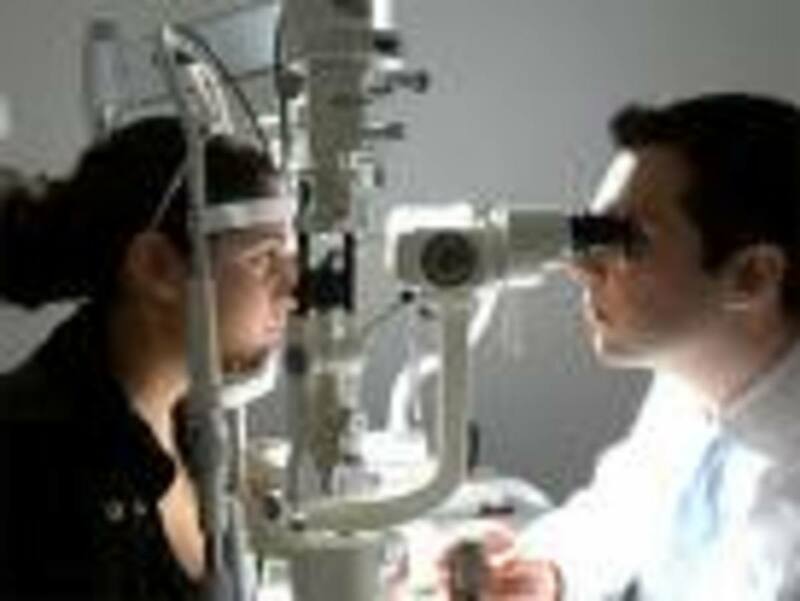 Thanks for this overview on ways to improve our vision. I've been aware of the need for focusing away from the computer screen to be proactive in eye care, and also interested in learning about the Lasik-type options. Your work here should be helpful to many. Thanks teaches1234! Glad to be of help! I will have to try your exercise post suggestions. The chart is a great add on to the hub and provides good comparisons for consideration. This is a good topic and so well covered. Hi Melovy, Right! Like I said the exercises can do no harm. Give them a whirl. Good luck! That's wonderful. My Dad use to do the exercises! That's what got me thinking,so I came up with this Hub idea.Thanks for commenting! This is very interesting to me because one of my daughters has poor vision and I have wondered about eye exercises. have met someone who said he’d had great success with the Bates method, but we haven’t tried them. It sounds as if it wouldn’t do any harm, and might help avoid her eyesight getting worse, though at the moment I’m not sure she’d be too keen. Our opticians have a type of contact lens for myopia that are worn only at night: they correct the eyeball length while you sleep and this lasts throughout the day. They didn’t advise getting them till she’s older and I’m not sure how common they are outside the UK - or even in it. Thanks for an interesting hub. Rebecca, I had to have corrective surgery for my myopia. I was a -14 and couldn't even wear glasses anymore. 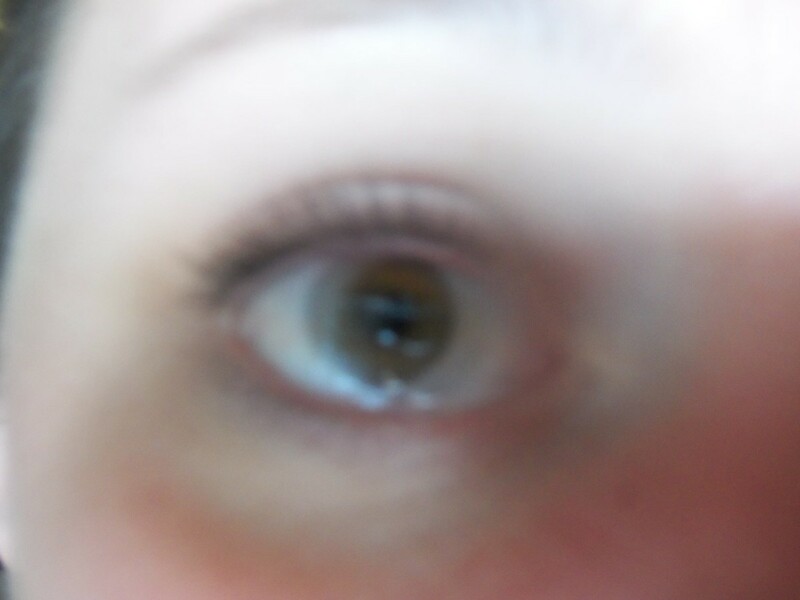 I had interocular lens implants and they have been like a miracle from God. Now I only need thin little lenses to drive. I played with eye exercises for awhile when I was younger, but my experience agrees with your article -- it doesn't help much. Thanks for the information! It will be helpful to many. Thanks for the insightful comment and compliment. I agree. The degree of severity should be considered. Good point. I should maybe mention that as well. Oh my stars this hub was so informative! Great work. I learned so much about the how and why of vision therapy. I have a girl with a serious vision problem and one with a minor problem and I totally agree with your conclusion. It has helped my girl with minor problems, but I would never expect it alone to help my girl with more serious ones. Excellent work.